The project Children in dreams of their future competences started in Ait Abdi in 2009 as a small private initiative for the financing of necessary repairmen’s of the roof, walls and windows in the local school of Ait Abdi in the high Atlas of Morocco. In the beginning the project collaborated with Tidoukla, the local organization for Ait Abdi. Soon the project expanded and became an umbrella project for research-, cultural- and developmental activities involving Norwegian institutions such as the Lillehammer University College (now named Norway Inland University of Applied sciences), The Norwegian Academy of Music and Morroccan institutions such as University of Cady Ayyad in Marrakech, Espace Provincial des Associations de developpement d´Alhaouz, the Regional Delegation of Education in Alhaouz and the Governor and his administration of the province Alhaouz. After 9 years, some of the project´s activities are now completed, while some will be completed soon. However, the project has not only launched activities having a time table for starting and ending points. It has also initiated chain-like developmental and cultural processes which continue more or less “by them self” as rings on the water. To a certain degree we are thus talking about a “never-ending-project”. At one point or another, these type of never-ending-projects needs a preliminary summing up and evaluation. The project has now reached this point. On Tuesday 27th of March 2018 this point was marked by a special program to make a preliminary summing up and evaluation of the project. The object was to learn from the completed project-activities as well as from the processes which are still going on. After a short presentation of the aim of the project, the project staff, collaborative partners and financial resources sources, the following pages cover a summary of project activities and some preliminary results. The umbrella project Children in dreams of their future competencies is dedicated to, and actively involves, the inhabitants in Ait Abdi, a small Berber village in the province of Alhaouz located in the High Atlas in Morocco. 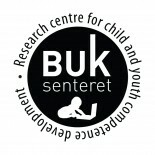 Under the leadership of the Research Centre for Child and Youth Competence Development at Lillehammer University College in Norway, a lot of project activities and mini-projects has been launched in the period from 2009 until today. Development: To support the development of life conditions and competences of strategical importance for welfare and wellbeing of children, young people and their families in Ait Abdi. Lillehammer University College has been responsible for the largest part of the financing of the staff and travel expenses. Scandinavian private donators have provided money for material resources (water-pump to the village, repairing of the school building, Ipads to the school etc). The Governor and the administration of Alhaouz has also supported the project financially, e.g. by funding conferences and the development of the infrastructure of Ait Abdi (new road etc). It all started in 2009 as a private initiative to support the people in Ait Abdi in general, and the school and the school children especially. The first Norwegian financed PhD-scholarship was offered to a masterstudent from Cady Ayyad starting with her PhD-project in as a part of the project Children in dreams of their future competences in Ait Abdi (2013). The Governor in Alhaouz signed a permission for all these projects. This was followed by a Collaboration agreement signed by Tidoukla Association de Ait Abdi, L´espace Associatif D´Alhaouz and Lillehammer University College. Furthermore, these six projects were supported by the organization “Friends of Ait Abdi”, which was formally established 29.08.2014 in Norway. The six mini-projects under the two main themes are shortly presented below. The Photo-book project: “Sensations of a Berber village. – Everyday life in Ait Abdi” is a book published by professor Pär Nygren and the Danish photographer Anne-Li Engström. The book, written in English and Arabic, uses photographs documenting the everyday life of the inhabitants in Ait Abdi supplied with quotes from the interviews in the pilot project (see above). One of the objects was to document the everyday culture of the inhabitants of the village beyond what can be obtained through written language. The income from selling the book in Morocco and elsewhere (which by now has reached over 40.000 dirham) is so far unabridged dedicated to the construction of a community house center in the village, with spaces for library, the local association of the village (for the time being Tidoukla) and rooms for meetings and cooperation between parents and the local school teachers. The future income from the book shall be used to build a local bridge over the river in the village and for building up an annual fund for “startup grants” for young students from Ait Abdi who wants to study at the University. The local association of the village, Tidoukla, is responsible for using the money in accordance with the stated purposes. The socio-biographic project “A socio-cultural situated biography of a Moroccan” is an ongoing book project with Pär Nygren and Omar Aatabi as co-authors. The objective of this study is to reconstruct the personal life history of a man, comparatively paralleled by the life histories of his parents and sister and brothers, in order to understand important aspects of the socio-cultural transition of the Moroccan society in the period 1915-2016. The focus is on how the tension between tradition and modernity is manifested and embodied in the life trajectories of persons in a small Berber village such as Ait Abdi. Interviews and historical studies are the main methods used. The field work in the three action research projects has been carried out by Nisrine Lmariouh as a PhD-student after she was granted a Norwegian scholarship (2014-2016). Right now, she is in Lillehammer finishing her PhD-dissertation about these three projects. To support the school children in Ait Abdi in developing new practices and competences for their future life in areas prioritized by themselves and their parents . In 2014 we organized a crowd-funding campaign to raise money for buying Ipads to the children attending school level 3-6 in the primary school of Ait Abdi. In collaboration with the school teacher, a model for using Ipad as a supplementary pedagogical tool was developed and tried out for one year. To support the children at school level 3-6 in developing new practices and competences for their future life in different areas with the help of new information technology. To prepare the children for, and to make them able to use, new information technology by introducing the use of Ipad in school. To promote children´s competences in collaborating, sharing and communicating with each other. To enhance the children’s learning of algebra with the help of the Dragon box app in Ipad as a supplement to the ordinary training in algebra. To promote the children´s competences in using new information technology (iPad) when learning other subjects than algebra, for example Islam, Arabic, French, English, geography, biology etc. After introducing the Ipads, the teacher integrated the use of Ipads in her teaching for one year. In order to promote collaboration and development of social competences, two children were assigned to each Ipad in order to share it . The model for collective homework was developed and tried out for the primary school children in the school of Ait Abdi at school level 3-6. To create new opportunities for the children to help each other with homework to compensate for the illiterate parent’s lack of competences in this area. To support the children’s development of their collaborative social competences in learning practices. Through the action research activities 3 self-administered groups of children were established where older children helped the younger ones when doing their school homework. The model for roleplay as a tool in developing the relations between children and their parents was developed and tried out for the primary school children in the school of Ait Abdi at school level 3-6. This mini-project involved 16 children. With the help of an instructor the children learned to create and play role plays (like a theater), where they act as parents and children. The plays should reflect situations in which the relations between parent and child is experienced as problematic for the child in one way or the other. Each theme for a role play should be developed and played in two versions: one version where the behavior of the parents is problematic from the children´s perspective and one version where the children show how the parents behave in a way that the children would like them to behave. After the children have developed these type of role plays and trained together, their parents are invited to “the children´s theater”. After having played the two versions of each theme/situation, there is a discussion led by the instructor where both the children and the parents participate. In this discussion, the goal is that parents and children should come to an agreement on how the relations and behavior should be in the actual situations. Focus in these discussions should be on the two questions: 1) How should the children change their behavior? and 2) How should the parents change their behavior? Various methods (statistics of changes of the students marks in algebra over time, systematic observations over time of the children´s behavior by the teacher, questionnaires, interviews etc.) were used to assess changes in the children´s competence development as a result of the activities in the three projects . The whole umbrella project is focused on support and development. From this point of view research is only a tool for development and change. The results of our research on the results from the project activities that will be presented here, is only a preliminary and rough summing up. Reports of the results in a stricter scientific way will be submitted in traditional academic publications. A new community house center in the village, with spaces for library, the local association of the village (for the time being Tidoukla) and rooms for meetings and cooperation between parents and the local school teachers. Development of healthy relations between the children and their parents in Ait Abdi as a result of the role play project. Reduced mental health problem among the children in Ait Abdi when they grow up. Cross-cultural competence: Knowledge of the similarities and differences between Scandinavian folklore music and Berber folklore music. Digital competences: The Ipad project promoted the development of new digital competences relevant for their future life in different areas. Competences in math in general and algebra especially: The use of the app for learning algebra in the Ipad-project promoted the development of logical thinking in general and increased skills in math especially: A statistical analysis of the results of a comparison mean of marks in mathematics between Ait Abdi-children in the Ipad-project with children in a control school for one year (June 2014 – June 2015) shows that the mean for Ait Abdi-children increased from 5.75 to 6.0882 during the test period, while it dropped slightly for children in the control school from 5.35 to 5.33. Collaborative social competence: The participation in the Ipad-project, Homework-project and roleplay project promoted the children’s development of their collaborative social competences in learning practices. There are no significant differences between boys and girls. The development over time for each of the 8 areas can be seen in the graph below.